Is it time to ditch the word ‘migrant’? Reading a British tabloid newspaper in 2015, you might wonder if Europe was again at risk of being conquered by the Mongol Empire. The continent is under "siege," the papers report, facing an "invasion" from a "horde." 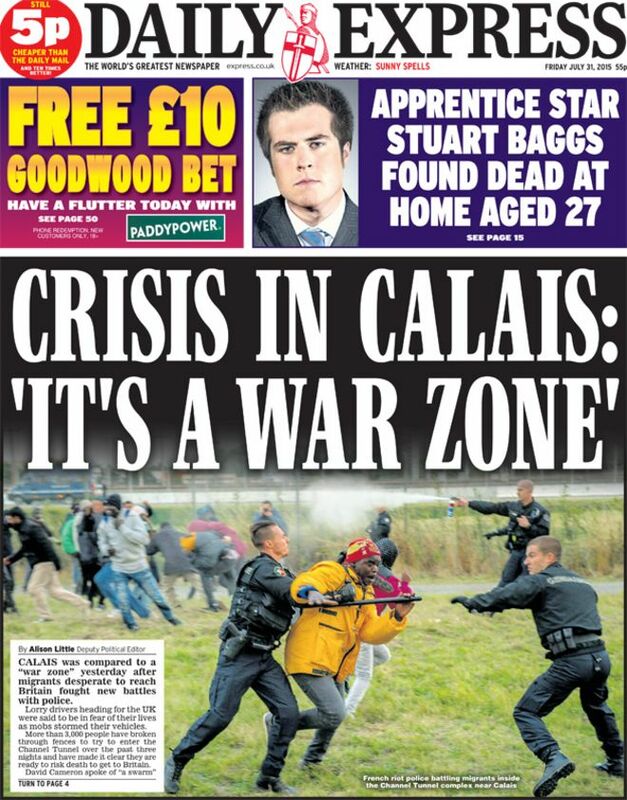 Parts of Europe have become like a "war zone," they say, as "marauding" foreigners "swarm" the borders. The reality, of course, is that there is no army at the gates. The migrants that cause Europe such angst aren't arriving in warships. Instead, most arrive in a human trafficker's dinghy, if they arrive at all. It's not hard to see that using sort of language could have a dangerous impact on the discourse surrounding migrants. "Words that convey an exaggerated sense of threat can fuel anti-immigration sentiment and a climate of intolerance and xenophobia," Alexander Betts, director of the Refugee Studies Center at Oxford University, told WorldViews recently. Critically analyzing the derogatory words used to describe migrants is clearly prudent, but some want to go even further: Last week, Al Jazeera English broke with other major news organizations to announce that it was ditching the word "migrant." "The umbrella term migrant is no longer fit for purpose when it comes to describing the horror unfolding in the Mediterranean," Barry Malone, the online editor of Al Jazeera English, explained in a blog post. "It has evolved from its dictionary definitions into a tool that dehumanises and distances, a blunt pejorative." Instead, Malone wrote, his news organization would use the term "refugee" to describe those crossing the Mediterranean. "Migrant is a word that strips suffering people of voice," Malone concluded. "Substituting refugee for it is – in the smallest way – an attempt to give some back." Malone's blog post clearly struck a chord. At the time of writing, it remains the most read article on the Al Jazeera English article and more than 50,000 people have liked it on Facebook (pretty extraordinary for a story that is essentially about a change to the Al Jazeera style guide). A glance over the talk in comments and on social media seems to suggest that the response to the article has been almost entirely positive: Malone tells WorldViews that one editor from a major newspaper told him that he had changed the wording in a front page story after reading his story. "It was surprising, but also pleasing," Malone says of the reaction to his post. But why exactly is being a "migrant" so bad? In theory, it should be a fairly neutral term. For statistical purposes, the Organisation for Economic Co-operation and Development describes an "international migrant" as someone who has been outside his country of birth or nationality for at least two years. One definition used by the United Nations says that it can be used to refer to "any person who lives temporarily or permanently in a country where he or she was not born, and has acquired some significant social ties to this country." Under these definitions, migrant appears to refer to anyone lives abroad for an extended period of time – an American banker living in London would be considered a migrant, for example. It's easy to see the negative connotations the word has attained recently in Europe, however: This year, Katie Hopkins, a controversial British writer and public figure, likened migrants to "cockroaches" in a column published in the Sun newspaper. As Daniel Trilling, editor of the New Humanist, tweeted later "in some quarters, the word 'migrant' is shifting from meaning 'a person who migrates,' to 'not human.'" "The term migrant was usually understood to cover all cases where the decision to migrate was taken freely by the individual concerned for reasons of "personal convenience" and without intervention of an external compelling factor; it therefore applied to persons, and family members, moving to another country or region to better their material or social conditions and improve the prospect for themselves or their family." "...owing to a well-founded fear of being persecuted for reasons of race, religion, nationality, membership of a particular social group or political opinion, is outside the country of his nationality, and is unable to, or owing to such fear, is unwilling to avail himself of the protection of that country." Put simply, these definitions say a migrant chooses to leave, whereas a refugee is forced to leave." This isn't just semantics. Laws dictate that European nations must treat someone fleeing from persecution differently than someone who made the choice to move for economic reasons. For example, while Germany takes in admirably large numbers of refugees from Syria, Interior Minister Thomas de Maiziere recently said it was "unacceptable" that 40 percent of total asylums applications had come from those in Balkan state countries where there was no conflict. These people would be deported, De Maiziere said – and be required to pay the cost of their own deportation. Some say that Al Jazeera's move better reflects the current crisis in Europe, where a large majority of those arriving are fleeing conflicts like those in Syria or Iraq or repressive regimes like Eritrea. "It is very important to recognize that current challenges in Europe and globally are predominantly the result of refugee movements and not simply a 'migrant crisis' as implied by most politicians and the media," Betts of Oxford University explains. Others, however, are concerned that while Al Jazeera's move may be well-intentioned, it also runs the risk of oversimplifying the crisis even further. "As incorrect as it is to presume all boat arrivals are economic migrants, they should also not be presumed to be refugees," Bill Frelick, Refugee Rights Program Director at Human Rights Watch, writes in an e-mail, noting that poverty alone isn't enough to qualify as a refugee. Judith Vonberg, writing for the Migrants' Rights Network, makes one of the strongest cases against Al Jazeera's change. "By rejecting the term and using ‘refugee’ instead as a means of arousing the empathy and compassion we should be feeling towards these people, Al Jazeera gives credence to the illiberal voices telling us that migrants are not worthy of our compassion," Vonberg writes. Instead, Vonberg argues that the word migrant should be "reclaimed" as a fair and neutral description of people crossing borders. That may be easier said than done: Language evolves over time and how it evolves is usually outside of any one group's control. Malone says that Al Jazeera would happily move back to using the word migrant if it felt the negative connotations were dispelled, but he finds it hard to imagine a media organization making that happen. "In an ideal world, perhaps neither refugee nor migrant would be used or twisted," he adds, "And perhaps we would all just be 'people.' Sadly, we don't live there yet." Note: The Washington Post uses the term "migrants" as a general term that refers to both economic migrants and refugees. We use "refugees" to refer to people who are seeking asylum because their countries are at war or they are suffering persecution due to race, religion, nationality, membership of a particular social group or political opinion.